As a fanatic traveller and a travel writer, I have been wanting to try out AirAsia ever since it commenced operations in India in June 2014. Why? Well, because I am a sucker for all new and shiny things in Travel, and mainly because this is a joint venture that mark Tata’s return to aviation industry after 60 years and I was curious to witness it. 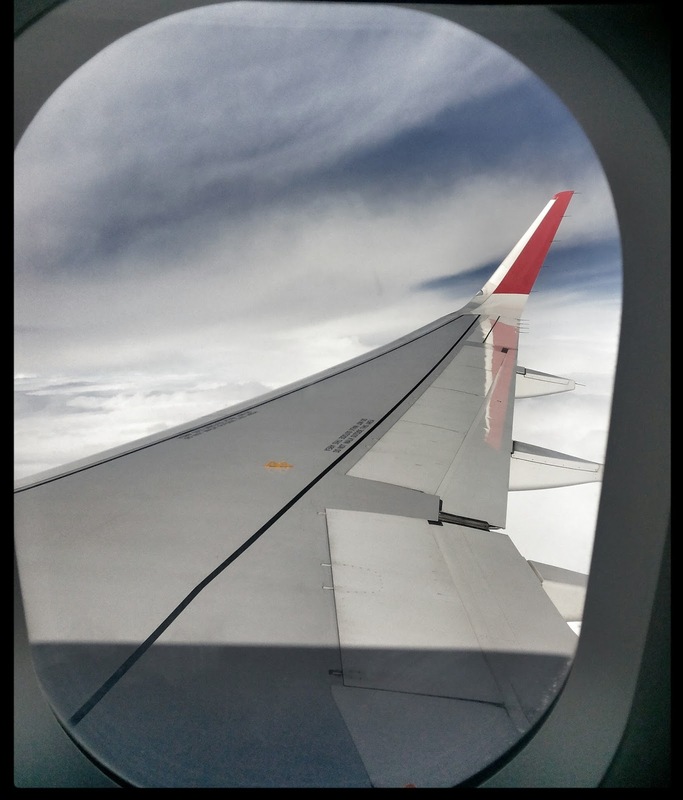 I finally got a chance to fly with AirAsia in June 2015, and I’ve been meaning to write this review ever since but I’ve been travelling literally non stop and work is keeping me busier than ever. But better late than never, right? So here we go go go. AirAsia India is an Indo-Malaysian low cost carrier with it’s head quarter in Chennai, India. This is a joint venture between Air Asia Berhad (with 49% share), Tata Sons (with 30% share) and Telestra Tradeplace (with the remaining 21%). Air Asia India started on 12 June 2014 with Bangalore as its primary hub. AirAsia is the first foreign airline to set up a subsidiary in India. AirAsia Flight Review – Delhi to Goa, and back. I flew AirAsia from Delhi to Goa and back, for a super fun and utterly amazing Blogger’s Event. I was excited about flying with AirAsia, and so were others apparently, because just before the trip, a fellow blogger who was also flying to Goa but on a different airline wrote to me – “You’re flying AirAsia? You lucky girl, you!”. Yeah, that’s the kind of excitement AirAsia is generating. Because I am always too excited about each of my travel plans, the night before I was supposed to fly with them, I read a few reviews online and found out that people were complaining about delays and bad customer service for AirAsia international flights. Damn, I thought. The next morning, along with blogger friends Manjulika and Rekha, I headed to the AirAsia counter at Terminal 3, IGI Airport, Delhi. We wanted window seats but we did not do a web check-in and now no window seats were available. The lady at the counter informed us that we could upgrade our seats to premium seats – with more leg room and recline able seat AND get window seats! – with just Rs.200. Always curious and ready to try out new things, I went for it. So did my friend. In between a seemingly endless session of sharing travel and blogging stories, we boarded our flight right on time. No delays at all. And that is when we decided to post our Air Asia review blogs. The staff was pleasant and attentive, which always gets an extra point from me. I mean, staff standing at the aircraft gates saying Welcome but looking like they’d rather be somewhere else right now, is pathetic. Don’t laugh, it has happened to me at least 3 times when the welcoming staff looks, well, unwelcoming. Anyway, plus points to AirAsia for a warm welcome and smiling faces eager to help. When we got to our seats, I realized that the leg room was no different than the other, non-premium seats. Realization then hit me then that the possibility of a 7-A having more leg room that a 7-B are tiny. Same for the reclining ability, obviously. Oh, bummer. We did not book these premium seats on the return flight. The flight took off right on time and I craned my neck trying to turn on my window seat and talking to my friend who was in the seat right behind me. We had so much to talk about, so much to catch up on and we weren’t letting the row difference get in our way. 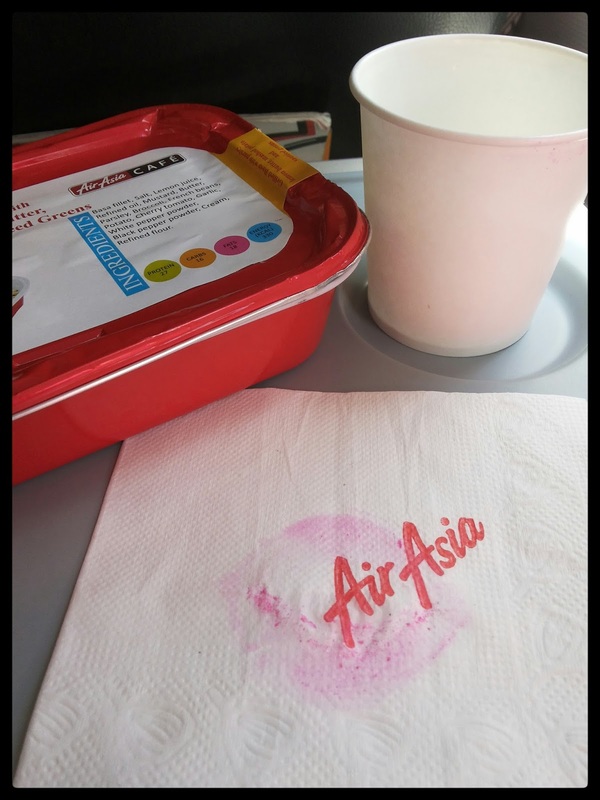 Flying AirAsia: My Air Asia Review! Meal time was great because the menu looked amazing. My advice: Pre Book the meal. Yes, food in AirAsia is not complementary, but the flight booking charges that are pretty reasonable and hence buying your own snacks is okay, right? Right. Plus, the AirAsia Cafe menu has some really good items on it that are different from the regular flight food menu, which makes it refreshing. They have Asian, international and vegetarian choices, so there’s something for everyone. Hot or cold, spicy or zesty, it’s your choice! But – If you don’t pre book your meals, chances are you will have to do with noodles or some other standard snack, and you will miss out on AirAsia’s specialities. What? I am a foodie and I love to eat! What is an Airline Review Blog Post if we don’t obsess over the food for a bit, right? So here we go! 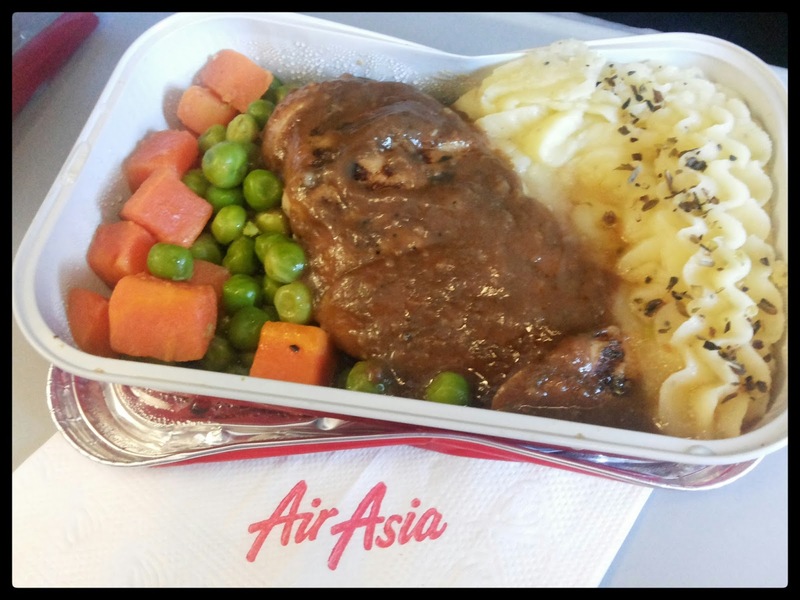 My Air Asia Review: The Food! In the Delhi to Goa air journey, I tried the Grilled Basa with Steamed Veggies and Creamy Mashed Potatoes. The fish is tender and flavourful, and the broccoli and other veggies are steamed to perfection, dressed in a rich and fragrant buttery flavour. The mashed potatoes are creamy, light and the meal is absolutely delicious. For the Goa to Delhi flight, I decided to try the Roasted Chicken with Sautéed Vegetables. This succulent and well-marinated roast chicken is served with generous servings of garlic mashed potato, buttered carrot and peas. It is then topped with a delicious mustard rosemary sauce to complete its signature taste. I got lucky both times with meals, but a few other did not get what they wanted because meals get over quickly. The journey, though a short one, was good and comfortable, though. Landings, both in Goa and in Delhi, were smooth and on time, except we had to taxi for a while at IGI Airport in Delhi because of traffic, like it is always the case in Delhi. Manjulika and me, all smiles at the airport, right when we decided to write our Air Asia Review posts. Travelling with friends is always fun, and I spent almost all of my time chatting with friends and the staff was quick to help us with requests of extra tissue papers to wipe our watering eyes because we giggled too much, and to hand over water more than once because we had talked our way to a dry throat. What fun! Travel is about the journey, not the destination, and the AirAsia is now a part of a memorable journey of my life. Overall, I had a really good time with AirAsia and you can tell that by this Air Asia Review blog post, right? I’d fly with them again and I would also recommend it to others. I haven’t tried their international flights yet – but already looking forward to it. I recently checked Air Asia flights to Malaysia and they were the cheapest, but it had only 7kg cabin luggage option, so I’m still deciding on that. Honestly, Travel Light is my motto, but international trip with less than 7kg is kind of tight, since the camera alone take sup around 4kg. I know, plight of a Travel Blogger! PS: All pictures in this Air Asia Review blog are my own except one, please do not use them elsewhere without my permission. PPS: Keep reading my travel and lifestyle blog from India – Aditi’s Monologue for travel tips and travel tales from around the world. 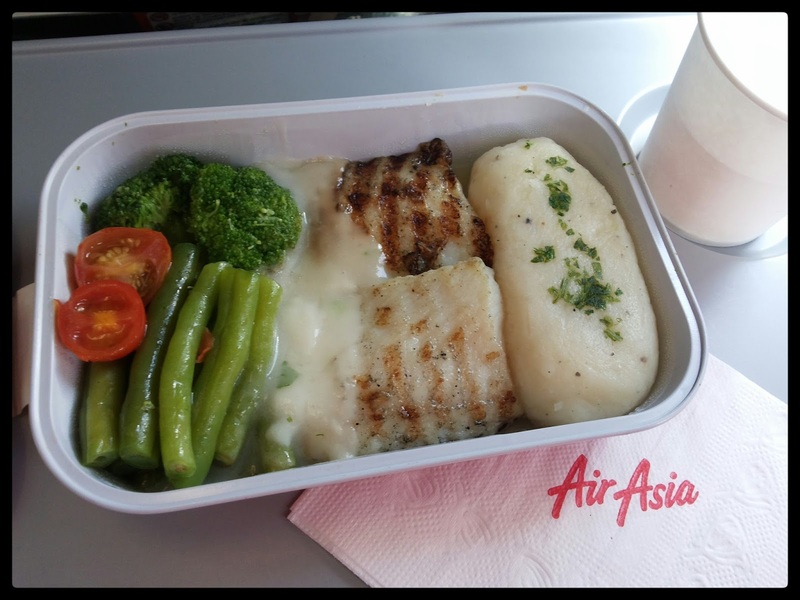 As a low-cost airline, it has a fair share of ups and downs when it comes to customer service but AirAsia’s in-flight meal is by far the best there is. Where To Go In Goa? What is Better - North Goa or South Goa? Read On.